Distinctive flavor from its environment. Peru Bagua Grande coffee offering comes from the northeastern region of Peru. This coffee has earned the nickname as “Kuelap” which means “from the clouds” due to the coffee being grown at such a high altitude. The coffee giving flavor of floral aromas, notes of candied lemon and baking chocolate. 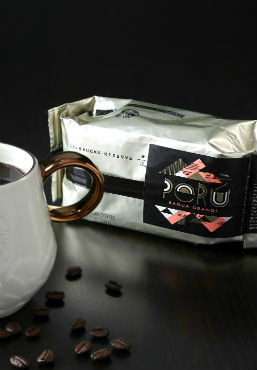 *This Starbucks Reserve® coffee is available only at select times and stores.